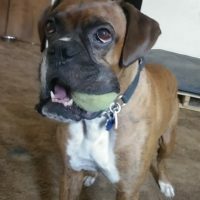 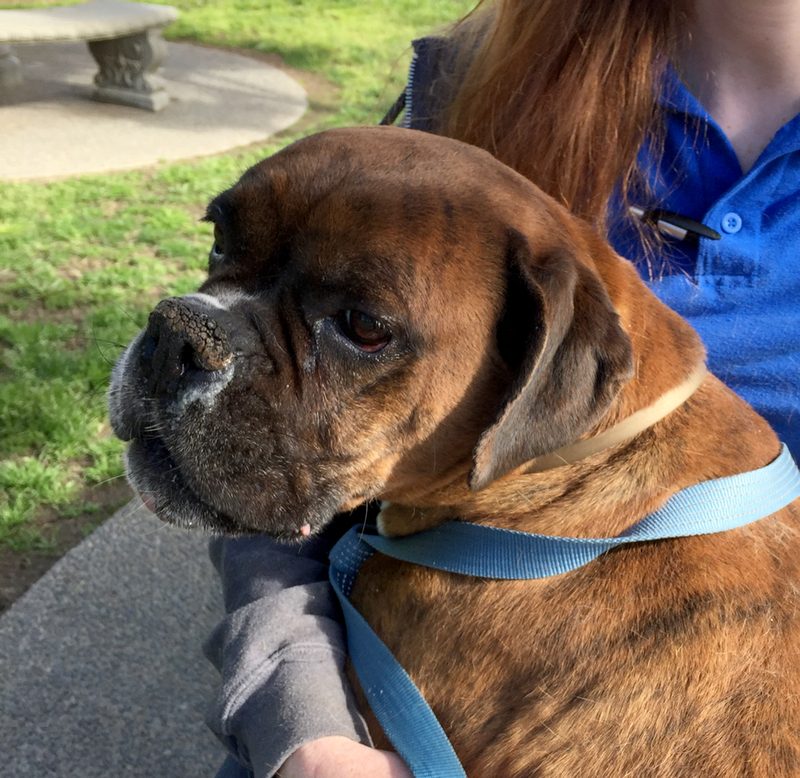 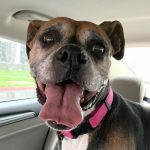 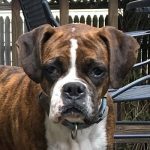 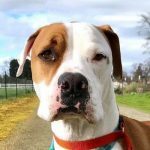 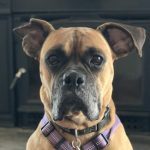 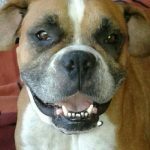 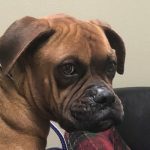 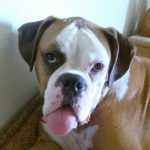 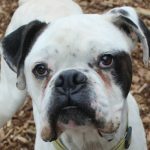 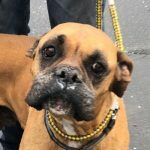 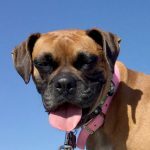 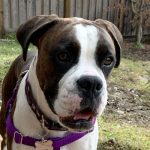 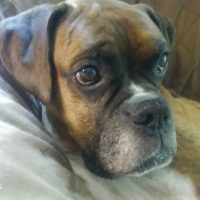 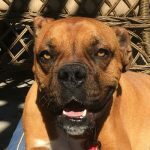 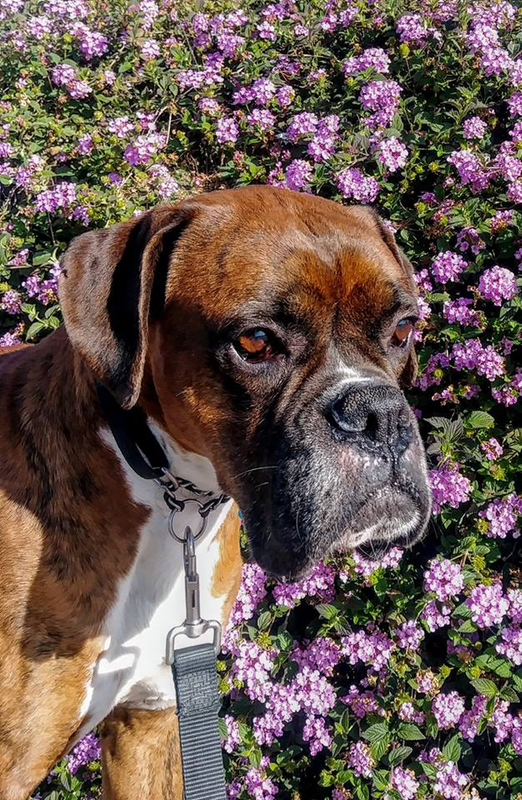 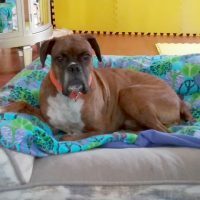 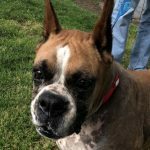 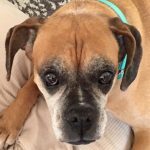 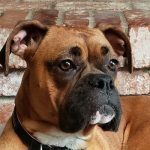 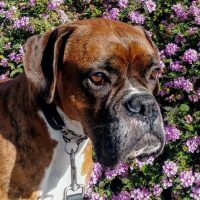 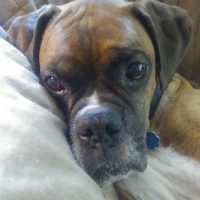 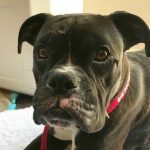 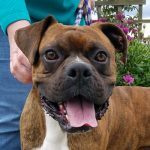 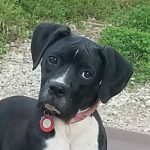 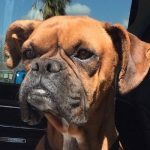 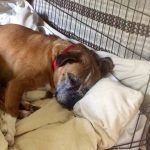 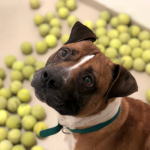 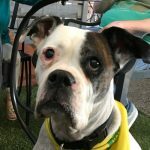 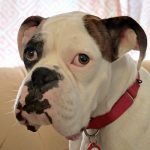 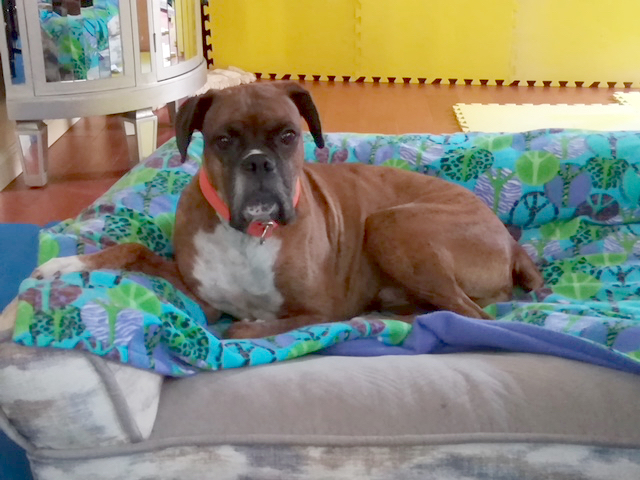 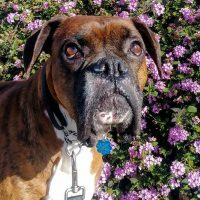 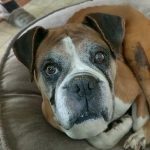 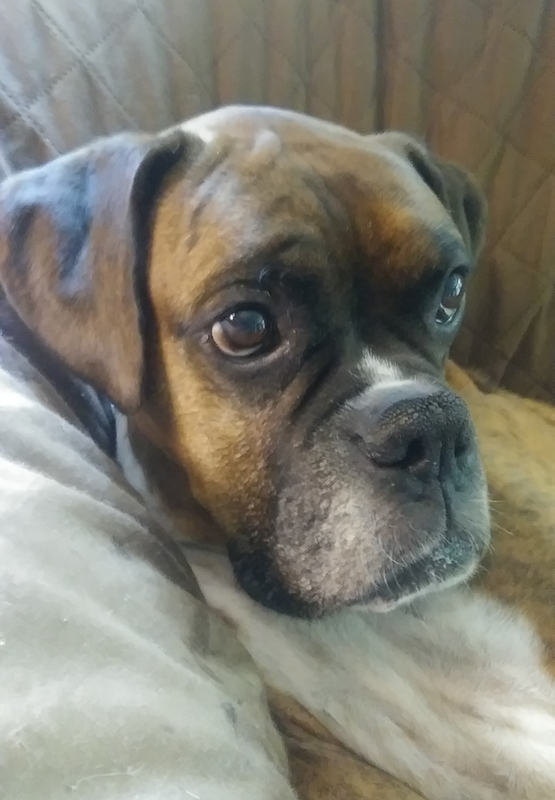 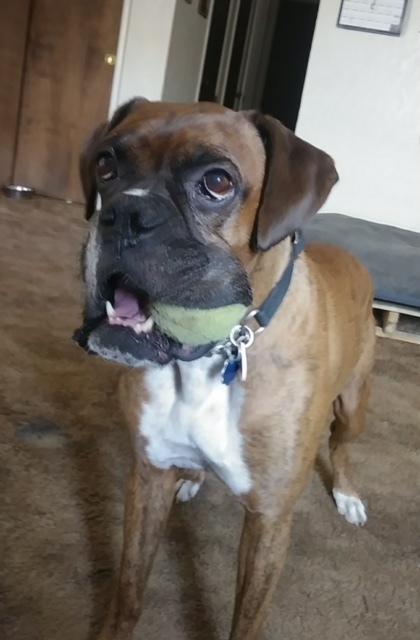 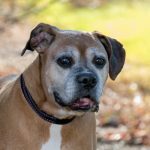 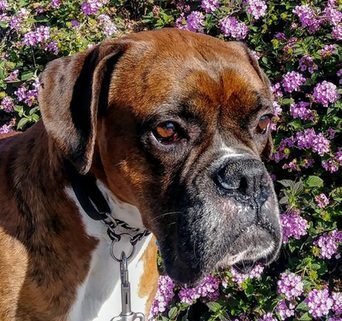 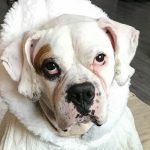 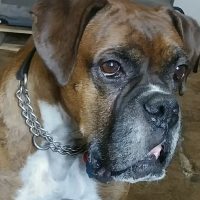 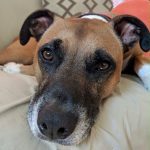 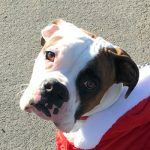 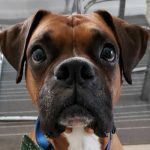 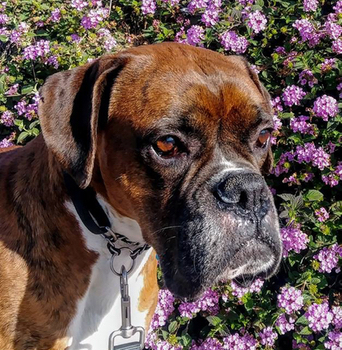 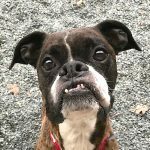 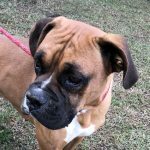 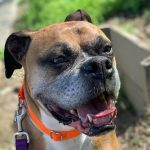 Tiger is a very loving and affectionate boxer who likes to be with his humans. 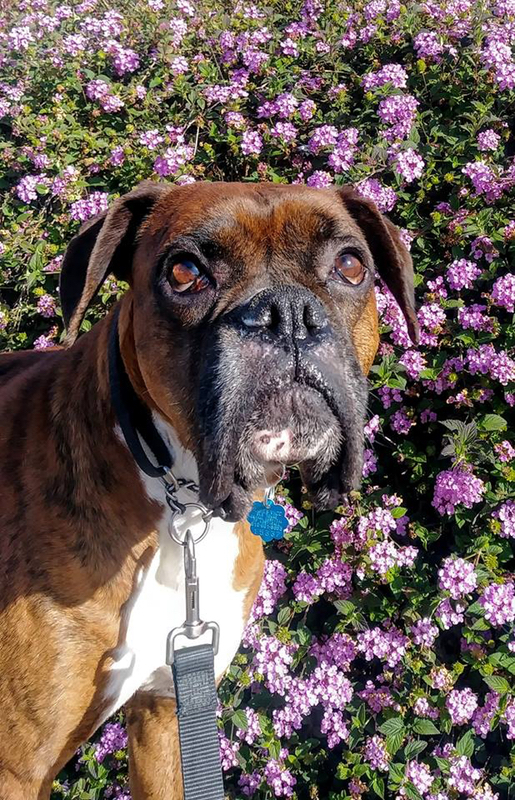 He loves car rides and walks, short runs, and is particularly fond of sprinklers. 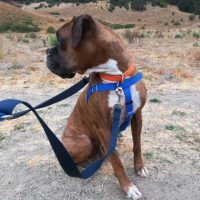 Tiger walks very well on leash and seems content with short walks around the block or longer one to two mile walks in open space. He is still working on not being distracted when he sees dogs, but responds well to redirecting commands and treats. Tiger has been very well behaved when we’ve taken him to restaurants, shopping centers, and the kayak launch. 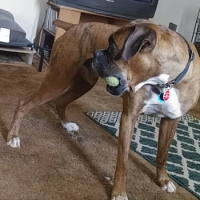 His great manners have been noticed by everyone he’s met. 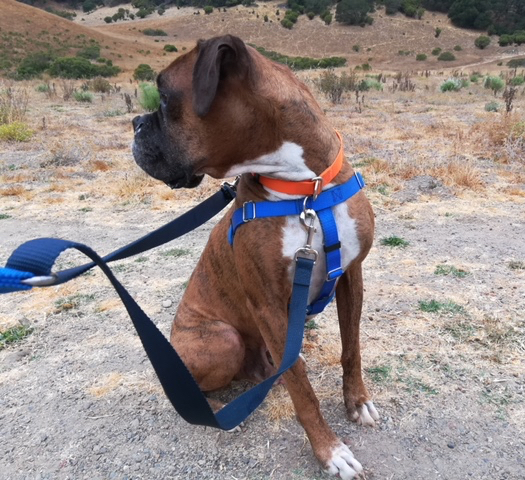 Tiger is a great companion and he loves to tag along with his people as they move about the house, but he can also sit, lay and park it when told. 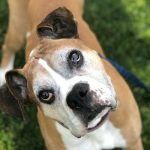 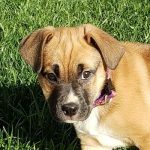 Tiger still gets the zoomies, sprinting as fast as he can back and forth in open spaces, and would love a yard big enough to really run around! 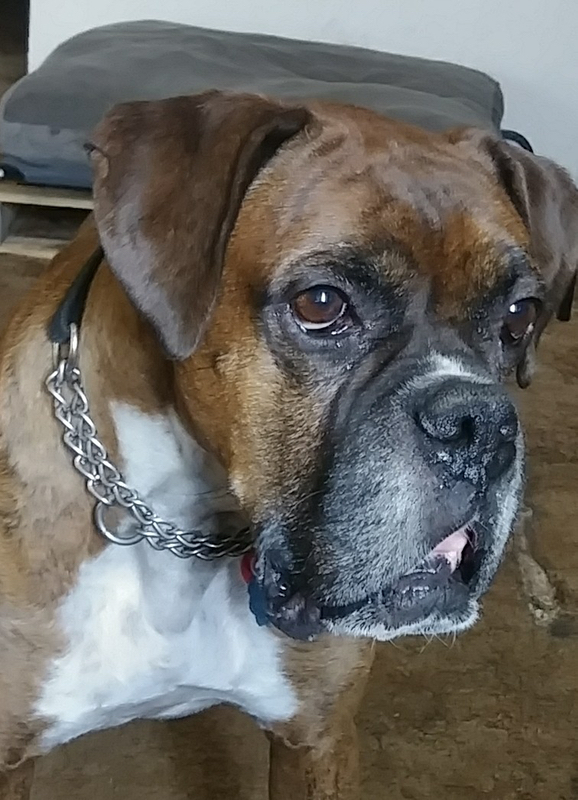 Tiger does not do well with cats and will also get anxious around other dogs. 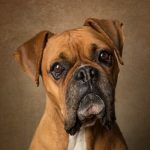 Due to this insecurity around dogs, Tiger will have to be an only dog in a home with no children. 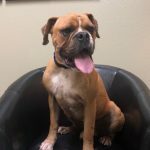 He needs to have a home and human he can trust and count on for guidance and leadership. 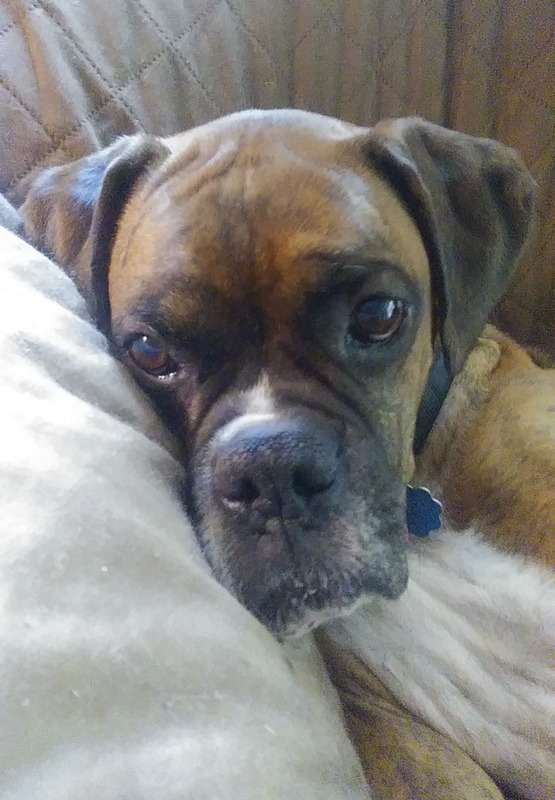 Tiger truly is a sweet boy who melts the hearts of everyone he meets. 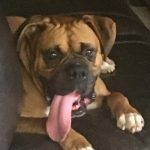 He deserves a loving home that will embrace him and make him part of the family.